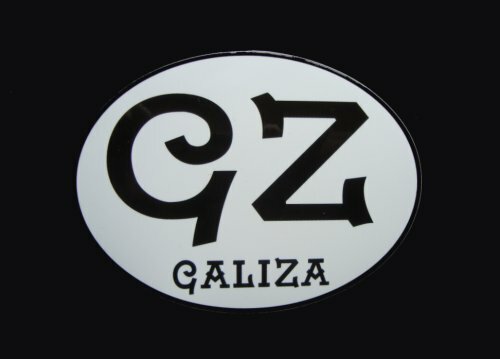 Oval sticker with the acronym "GZ" for "Galiza". Durable and water resistant, this sticker is ideal for your car or motorbike. » Size: 11.6 x 8.7 cm (4.5''x3.4'').